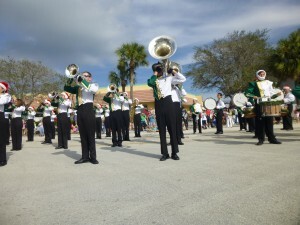 36th Annual JTAA Holiday Parade Sunday, December 9th. 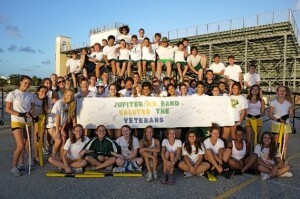 The Jupiter High Band program decorated and signed some 60 cards that were delivered to the Veterans at the VA Hospital on Blue Heron Blvd.on Nov. 9, 2011, to celebrate Veterans Day. The students also signed a banner that will be displayed in the new wing at the hospital. 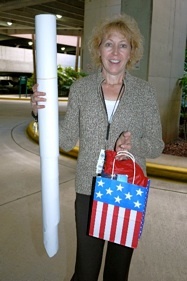 Wendy Irvin, Voluntary Service specialist at the hospital, shown below, accepted the banner and the cards and said the veterans will be extremely grateful. 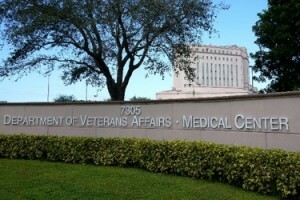 Cards were given to the permanent residents of the VA Hospital.